De Opera Beach Club: It makes quite a first impression. Nusa Dua’s foodie goliath The Bay is many wonderful things — with ‘right next to a stunning beach that is literally fifty paces from your dinner table’ being first among them — but low-key it is not. The first clue might have been the restaurant built around a pirate ship, or the collection of rather expensive looking cars being valeted about the parking lot; anyone seeking a quiet meal in a pastoral setting should look elsewhere. But there’s a freaking pirate ship, guys. And a Bebek Bengil. And a stupendously swag beach club. And again: an absolutely amazing beach. If you’re looking for a natural journey of holistic discovery, Ubud is that way. If you’re looking for an overt dose of good time, The Bay is it. You were unaware that your new favorite food is pea pods, but it is. Sometimes, the occasion just calls for immaculate baskets of wonderous dim sum, served in a gorgeously curated traditional Chinese garden. Hong Xing somehow manages to take the words ‘extravagant’ and ‘delicate’ and combine them into a 250-seat dining area that does the kind of brisk business that would do a Hong Kong dimsum joint proud, but still feels lotus pond-placid. There are two great reasons to find yourself at a pirate-themed restaurant. The first is that you’ve got children, want them to be happy, and are more than happy to give them a chance to let out there destructive energies on the playground. The second is that you have a spouse, want them to be happy, and see nothing wrong with being in your late-thirties and climbing atop a mizzenmast or two. Either way, you can have a pineapple filled with ice cream when you’re finished with your meal. 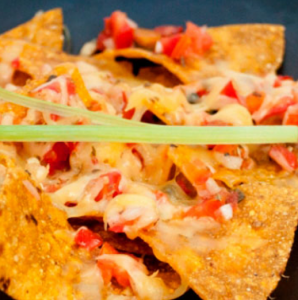 The Pirates Bay: Here there be nachos. We’ve dropped the mike on the subject of Bebek Bengil. We’d be outraged if they compromised the standards of their Ubud flagship for touristed shores. They do not, because they love humanity on want us to be happy. “Moderation is a fatal thing. Nothing succeeds like excess,” as Oscar Wilde once said. Three restaurants contained under one roof; a roof that looks as though a sequel to The Great Gatsby had been planned for Bali. 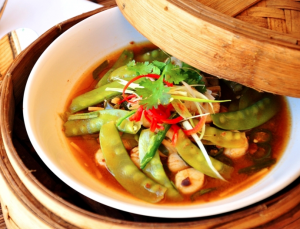 De Opera is a dining concept that includes a Thai restaurant, a Benihana, and Gyu-Kaku, a Japanese barbecue. And then, having had a ridiculously lovely meal, you go see who is in the DJ booth. If you’re fresh off the airplane — welcome, btw! 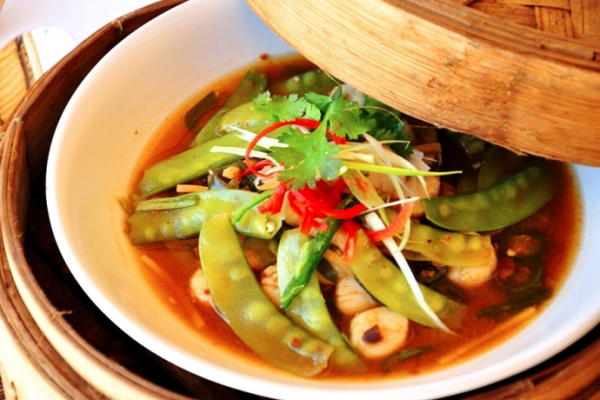 — confronting the last 1000-plus years of Balinese culinary can feel a bit daunting. Bumbu Nusantara makes something that could be intimidating ridiculously simple, giving diners a chance to go go ala carte on a huge menu of freshly made Balinese and Indonesian dishes. Try a little bit of everything, enjoy yourself thoroughly, and then try it at a local warung — because every good Balinese cook brings something special to the dish. 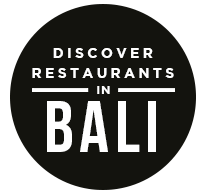 Set sail for Balinese food adventure with the Qraved app for iOS and Android. More restaurants, more menus, online reservations, and far fewer pirate jokes. The post Exploring The Bay at Nusa Dua appeared first on Qraved Journal.